Even though it was originally released in 1996, Nazca Corp’s Neo Turf Masters still holds up as one of the best golf games ever and now you can play it on Xbox One. The core gameplay is accessible and simple, the art style is appealing, the courses are distinctive and awesome, and the game is a total blast in multiplayer. You won’t find a better golf game on Xbox One for the $8 asking price, either. If you love golf games, Neo Turf Masters is easy to recommend. See all of the details here in our full review. 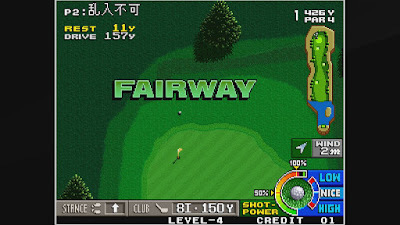 As part of the ACA NEOGEO line of arcade re-releases from Hamster Corporation, Neo Turf Masters is an accessible and affordable throwback to the bygone days of arcade gaming’s heyday. 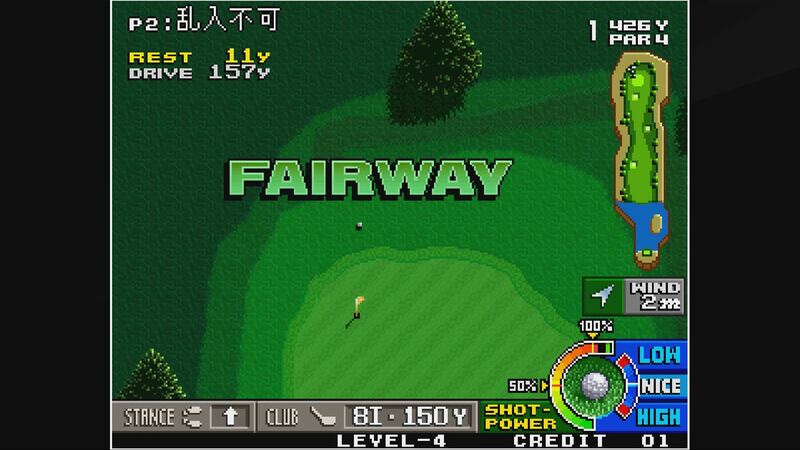 ACA Neo Turf Masters is a faithful port that doesn’t add anything new or update the visuals – they did get a bump up to 1080p, of course, and it is surprisingly sharp and good looking, but it still looks like a game from 1996. A lot of this game’s charm lies in its art style and the way it looks, however, so the 1996 visuals and classic NEOGEO sound effects and music are exactly what we wanted. Neo Turf Masters features four courses and a handful of golfers from around the world to choose from. Each golfer has slightly different stats and skills and it is fun to experiment with them to see who suits your style. It’s also fun to experiment just to see all of the artwork created for their reactions after each hole as they are pretty universally awesome. I’d be lying if I said I was satisfied with only having 4 courses, but for the price you can’t complain. 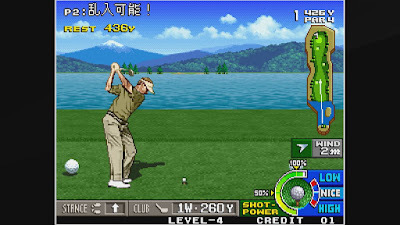 Gameplay in Neo Turf Masters uses the oldschool system where a meter slowly rises and you press a button at the power level you want to hit, and then press the button a second time to determine the ball’s trajectory (high, low, or normal). By pressing a different button when you swing you can also cause the ball to curve left or right. The game has a fairly clear UI that tells you the distance from the hole and the maximum distance of your current club, so learning to swing at the proper power level is fairly intuitive. Other things aren’t quite so intuitive, though, and Neo Turf Masters can be pretty brutally difficult if you aren’t paying close attention. To be totally honest, though, some of the difficulty also seems kind of random and out of your control, particularly when you first start playing. It takes a few rounds to learn the proper angles to get around each course, when and where to use the low and high shots, and when you need more or less power. Once you learn a hole you’ll be able to nail it 100% of the time, but that learning process takes a while. This originally was an arcade game, of course, so arbitrary difficulty spikes to make people pump more quarters into it was part of the design. You’ll be glad to have nearly unlimited credits on Xbox One. 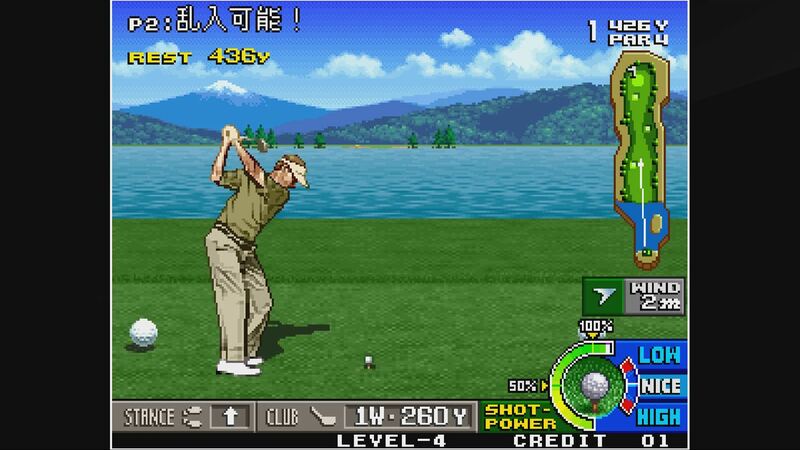 Once you come to grips with the ins and outs of its gameplay, Neo Turf Masters is a pretty fantastic golf game. Taking proper angles on each shot, carefully looking at your yardage card for each hole to determine the power, and then executing the shot is as well done and enjoyable here as it is in any modern golf game released since. It’s accessible and fun and undeniably charming. 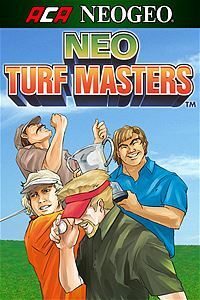 I love Hot Shots Golf and the Tiger Woods (now Rory McIlroy) games, but there’s just something about Neo Turf Masters’ simple fun that is really, really appealing. All in all, if you enjoy golf videogames at all ACA Neo Turf Masters on Xbox One is well worth a look. It plays really fantastically well, has a ton of charm in the visuals and music, and is a very solid game all around. It’s a total blast both in solo play or local multiplayer, and for $8 you really can’t beat it. Buy it.